Dark chocolate gelato, fudge swirl & fudge pieces. From cows not treated with rBST (All farmers who supply milk for Tillamook products pledge not to use artificial growth hormones. The FDA has stated that no significant difference has been shown between milk derived from rBST treated and non-rBST treated cows). Questions? Comments? 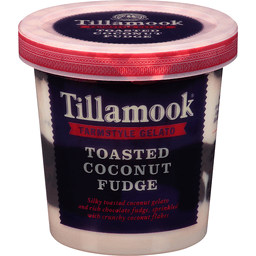 Visit Tillamook.com/Contact. Made in the USA. Sweet cream gelato. 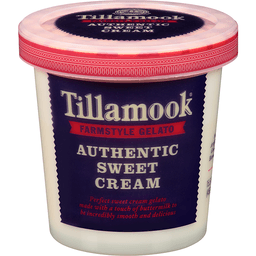 From cows not treated with rBST (All farmers who supply milk for Tillamook products pledge not to use artificial growth hormones. The FDA has stated that no significant difference has been shown between milk derived from rBST treated and non-rBST treated cows). Questions? Comments? 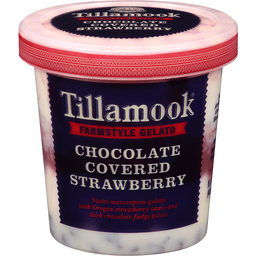 Visit Tillamook.com/Contact. Made in the USA. 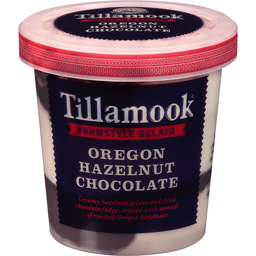 Hazelnut gelato, fudge swirl & Oregon hazelnuts. From cows not treated with rBST (All farmers who supply milk for Tillamook products pledge not to use artificial growth hormones. The FDA has stated that no significant difference has been shown between milk derived from rBST treated and non-rBST treated cows). Questions? Comments? 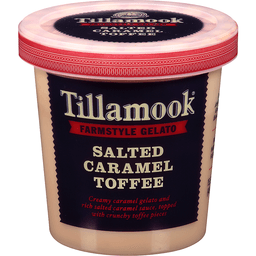 Visit Tillamook.com/Contact. Made in the USA. Toasted coconut gelato, chocolate fudge & coconut flakes. From cows not treated with rBST (All farmers who supply milk for Tillamook products pledge not to use artificial growth hormones. The FDA has stated that no significant difference has been shown between milk derived from rBST treated and non-rBST treated cows). Questions? Comments? Visit Tillamook.com/Contact. Made in the USA. Organic dark chocolate with mint gelato. Made with organic chocolate. Fair Trade Certified ingredients. NAIA. 64% cacao. 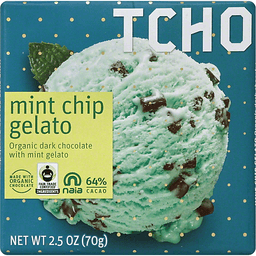 Mint chip gelato organic dark chocolate. www.tcho.com. Certified organic by CCOF. TCHO. Better bean to better bar. 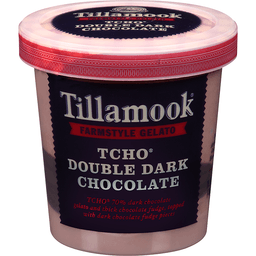 Find out why TCHO chocolate tastes better at www.tcho.com/tchosource.